Sales. It’s what everyone wants. At NIH Research & Consulting (NIHR), we know it takes a lot of work to get there. Every Sales VP wants productive Account Executives who feel supported and appreciated. Do your conversations look like this? We support Sales and Marketing Teams throughout the nation. We are a Total Marketing and Sales Support Solution dedicated to the healthcare industry. Our services affect every step of the sales cycle and ultimately boost your ROI while providing real-time support to your field and administrative teams alike. Why NIH Research & Consulting? 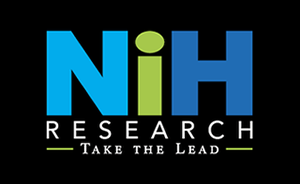 NIHR specializes in nurturing prospects through the early stages of the sales cycle and setting up appointments with key decision makers. Our Best Practices approach truly maximizes your sales and marketing opportunities. We provide a comprehensive set of services to maximize your sales opportunities. Specializing only in healthcare, we are well-versed in communicating with hospitals, IDNs, group practices, pharmaceutical organizations, laboratories and other healthcare facilities. We understand that each group has a certain expectation for sales and marketing communications. Leading the way for over 25 years, NIHR delivers results you can count on. Call us at 954-753-7747 for a consultation!